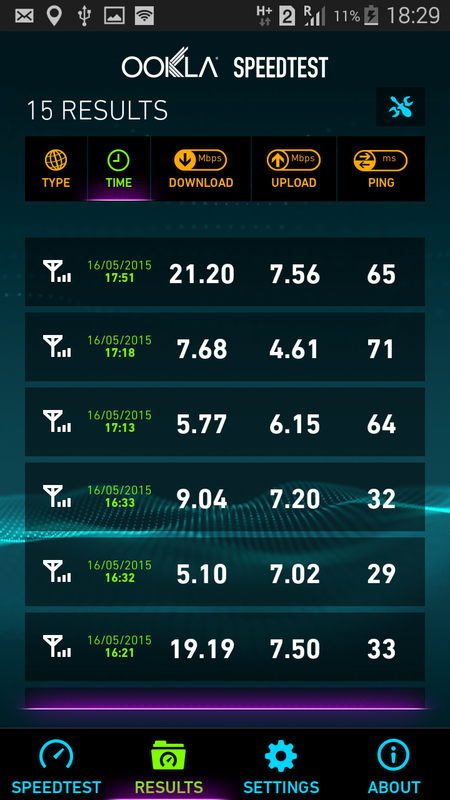 This post details my findings of Airtel 4G experience Chennai. It was soft launched last week and I had the opportunity to experience it first hand, thanks to the Samsung A5 loaded with Airtel 4G and a hotspot device provided by Airtel for test and review purpose. Over past 3-4 days, I took the Airtel 4G enabled phone wherever I went and did some speedtests at different locations in Chennai- mostly South Chennai. 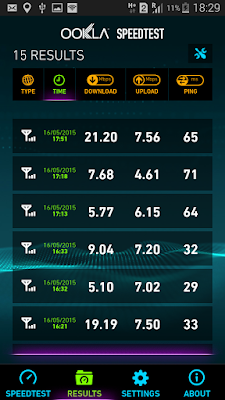 As you see below, the speeds varied between 4.27 MBPS to 24.17 MBPS. The worst case scenario was indoors, 6PM on a Friday evening, while the best results were obtained in the open near the main roads such as OMR, ECR, late night or early morning hours. On an average the speed was hovering at around 18-20MBPS, which is great. But be prepared for 3G/2G speeds at peak hours or indoors if net gods are not in your favor. Airtel has created an App called 'Airtel Asks' using which users can give feedback about the 4G service at various locations. Folks at airtel will be gathering these feedbacks and will take action accordingly, where required and possible, to boost up signal. 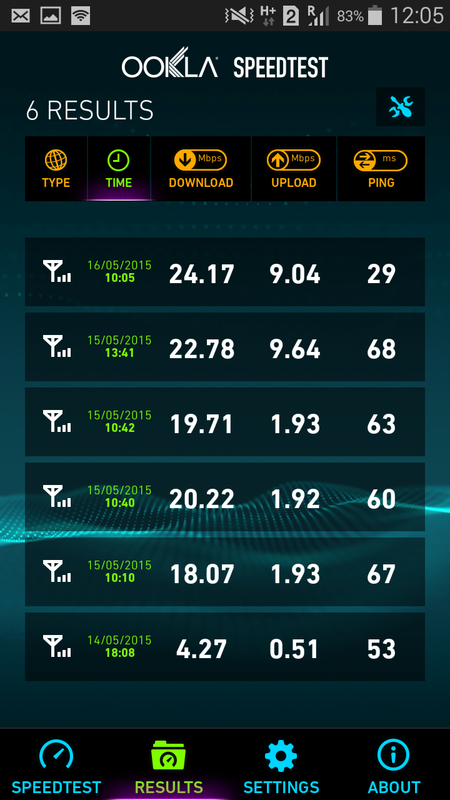 Overall it is good to have 4G speeds available to Indian customers now. What to do if you don't own a 4G handset? 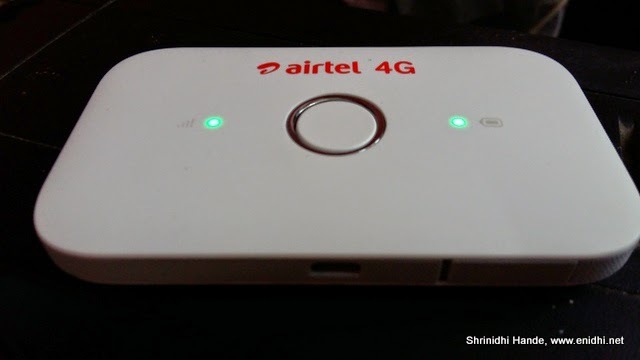 Why spend money on a new handset, when you can carry in your pocket the Airtel 4G hotspot? This device costs about Rs 2300 only, can create a hot spot anywhere, anytime. No need to plug in into USB or power socket. Up to 10 devices can be connected to internet using this and this way, 4G speed can be enjoyed on a laptop or a 3G mobile/tablet. 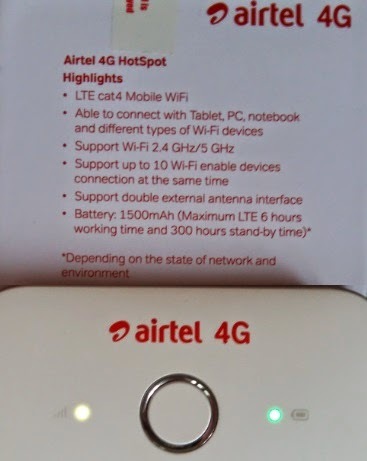 Airtel 4G hotspot device is made by Huawei, has a battery inside and holds an Airtel 4G SIM Card. Battery is charged through micro USB cable and once fully charged, it can run a hotspot for 6 hours, standby 300 hours. In terms of size, it represents a visiting card holder. Has two lights- one to indicate battery level and one more to indicate if the signal is of 4G/3G or 2G. (If 4G is not available it shifts to 3G). One thing I noted is that there's no way to know exact battery %- it has low battery warning and full battery indicator, but we can't see what is current charge level. Such a feature would have helped if you're heading out and need to know how long the device may last before running dry. 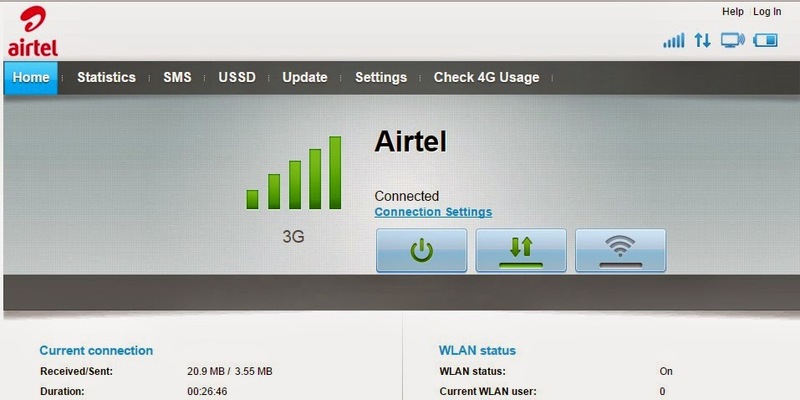 Airtel 4G Hotspot comes with a web dashboard to manage settings, view consumption etc. Device has a provision to attach external antenna (2 of them), but that needs to be purchased separately in the market. Antenna can give better range to the wifi, not needed if you intend to keep it close. 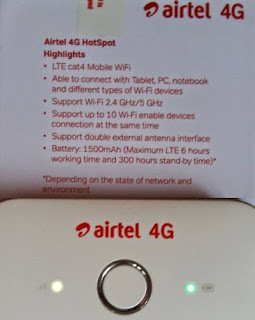 When I used this Airtel 4G hotspot at home indoors, I could get very good 4G speed during night time, but during day time, got only 3G speed. In the box there's only a small USB port and a quick start guide. Nothing much. Right now there're probably few hundred to few thousand 4G users in Chennai. Challenge for Airtel will be to sustain the speed as more and more consumers switch to 4G by adding more towers/increasing bandwidth etc. 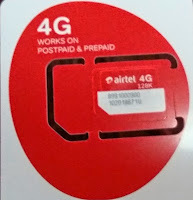 More about Airtel 4G launch in Chennai in this FAQ post. To check compatibility of your SIM and phone, visit www.airtel.in/4g If you're an existing airtel customer, Airtel will give you free upgrade to 4G Sim, with your existing 3G data back. SIM Swap can be done in 3 easy steps. While there's no visible extra charge for 4G, in all probability you will exceed your data usage limits and may either pay more or else get down to 2G once fair use policy kicks in. So keep an eye on the data consumption while you enjoy high speed. 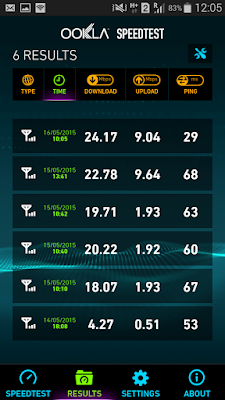 I hope these companies will reduce the cost of 3G once 4G has become common. I am happy with 3G, but not happy with the current high bandwidth costs. I see from technical specs for Airtel 4G Hotspot it is a TDD-LTE on 2300 MHz. How about the SIM ? - is it FDD-LTE 1800 MHz or TDD-LTE 2300 MHz? "First, let's start off with 4G connectivity speeds. Surprisingly for some, T-Mobile has the lead with the absolutely fastest download speeds (averaging 8.1Mbps) across the 20 biggest US metros. AT&T is a close runner-up, scoring an average downlink speed of 7.64Mbps." Please don't give false promises and fool the customers and send false bills. In Karnal[ Haryana] Speed test showing impressive results [~20MBPS] but while downloading data speed crawls around 300 KBPS. WTF! ? Hmm, was it one off incident? Did you try at different location/timing?